Hi friends!! 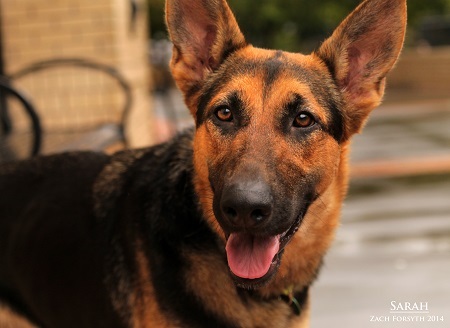 My name is Sarah and I’m a 1 year old German Shepherd that has a real zest for life! I’m cute and goofy and, boy, do I love to play, play play!! I’m looking for a special family that wants to devote some time and energy into me because my manners are unpolished, but it’s safe to say I’m a diamond in the rough! Puppy classes are a must, but with my smarts I’ll be getting straight A’s in no time. I’m great with other dogs, but excited with kitties so it’s best we don’t live together. I’m a total lover with people of all ages, but since I do need a family that can really focus on making me the best pooch ever it’s I prefer a home without small children. What do you say? Are you looking for a once in a lifetime dog to bond with? Check me out! I have been transferred to Columbia County Humane Society, please give them a call for more information (503) 397-4353.